By popular demand, below is a picture of the two extra boards that came with my order. The third one is happily running just fine inside my trackball module. I'm very pleased with the results. The new circuit board arrived yesterday and it looks really nice. I was able to get it populated with parts today and it works perfectly. I made some slight modifications to the design before I sent this one to be created, so there was always a chance that I had made an error along the way. The changes included establishing digital and analog ground planes. 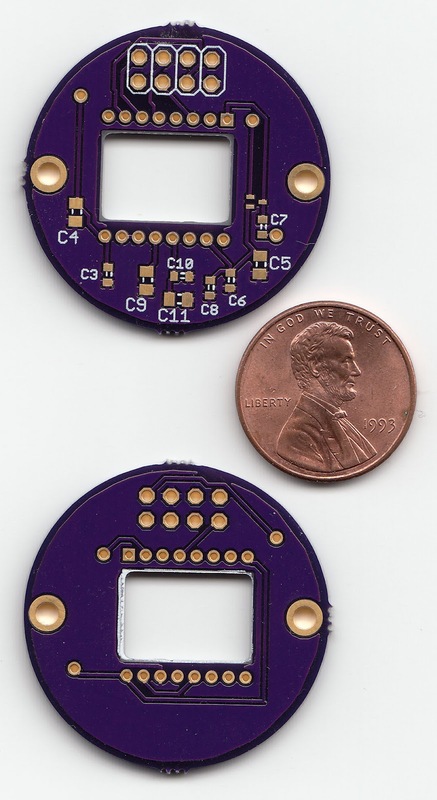 The top side where all the surfance mount components are located has the analog ground plane while the bottom portion that is mostly bare is the digital ground plane. Hopefully that will improve the stability of the unit overall. I was getting some random lock-ups about once every day or two and I attribute it to having digital signal drains poluting my analog signals. We shall see. After running on my own milled cirucit board for many months now, I have ordered a few from DorkbotPDX. I spent most of last night adding ground planes to both the top and bottom of the board and generally cleaning up the asthetics in preparation of sending it out for production. While the my own milled versions work well for rapid prototyping, their longevity is a bit limited as I've had to resolder them a few times and fix broken traces. A few days ago, I had another lose connection that was the straw that broke the camel's back to get me going to have some professionally made. Heck it only costs a little more than $7 for three of them to be made, so it seems like a real bargain. Hopefully the professional grade ones come out like I hope and work. We'll see. I've setup a Kickstarter project. I already have one backer, even before I posted it anywhere. 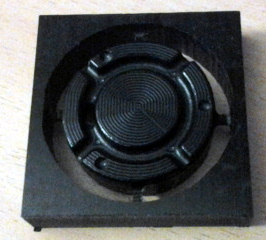 I milled out an updated version of the trackball PCB cover today. It took several hours, but looks good. Below are some pictures of the finished product and a video I shot at the beginning of the session. The grounding patch is finished. 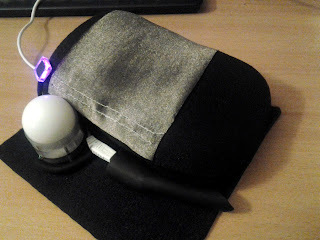 It has two strips of velcro hook sewed on each end of the stretchy conductive fabric. I secured one side with the velcro, then gave it a stretch over to the other side and tacked the other side down as to make a nice smooth addition to the top. A wire is connected by crimping force under a metal gromet to connect the fabric to the Teensy board. In addition to providing a grounding patch, this is where I anticipate most of the wear to be happening, so it can be replaced at a later date without having to replace the whole hand support. What is left? Well, all parts are done and working. I need to design and mill a new bottom cap on the track ball module as the current one is a little too short. 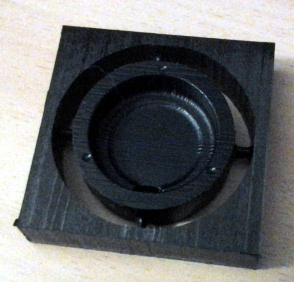 Once that is done, I'm guessing it is time to start making some silicone molds of these CNC machined parts to be ready to reproduce them and make anther full trackball to prove it can be done. Once they are reproducable, I'm thinking I'll need to get a few in the hands of alpha and beta testers to see what needs adjusting.